The growth of deadly plaque inside the walls of arteries may not happen as scientists believed, research from the University of Toronto and Massachusetts General Hospital has found. 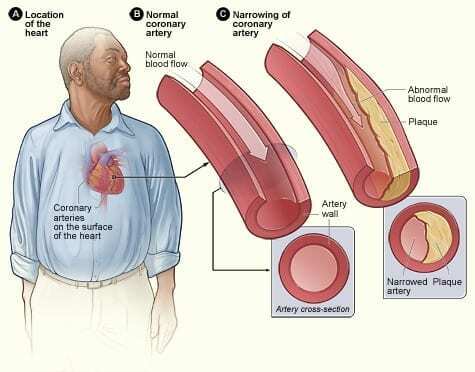 The research also suggests a new potential target in the treatment of atherosclerosis, a leading cause of cardiovascular disease and death globally. The research team found that macrophages, white blood cells that drive atherosclerosis, replicate inside plaques. Moreover, this growth is not reliant on cells outside the plaques called monocytes, as scientists had assumed. The journal Nature Medicine published the study results today. The impact of the research on clinical treatments could be large. Many pharmaceutical companies are pouring resources into potential therapies that can block the recruitment of white blood cells into plaques. But if macrophages self-sustain through local cell division, blocking recruitment may not be the best strategy. That approach might be better than targeting circulating monocytes, since interrupting disease-causing processes within plaques could spare other beneficial immune responses that monocytes control, said Swirski. As well, it could help improve the current standard of care in treating atherosclerosis: statin therapy. Statins, in addition to lowering blood lipids that contribute to plaque, have anti-inflammatory properties. The researchers are now looking at whether statins might limit the spread of macrophages within plaques. “Additional targeting of macrophage proliferation may further decrease inflammation in atherosclerosis and prove clinically advantageous,” said Robbins, who is also a scientist in the Toronto General Research Institute at University Health Network. The researchers conducted their study in mice, and they caution that much more research is needed to see how the work will translate to humans. But encouragingly, they found evidence of macrophage growth in plaques from human carotid arteries.